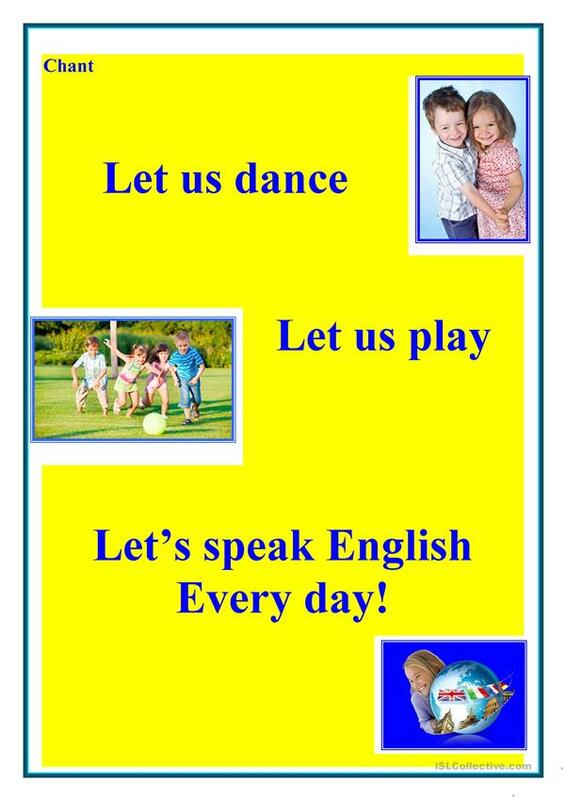 I use it at the beginning of the lesson, chidren say it in chorest. Later the children make sentences with different verbs. For example: Let us run (swim) every day. This printable, downloadable handout was created for kindergartners and nursery school students at Beginner (pre-A1) level. It is valuable for teaching Verb phrase in English, and is a valuable material for developing your groups' Speaking skills. It focuses on the theme of Daily routines.